CAROLINA SHORES, NC – Jamie Nance has been greeting golfers in the Carolina Shores Golf & Country Club pro shop for the past six years. When Ms. Nance says, “This course is a favorite of locals and members,” we should take heed. Area residents have an abundance of golf courses to play and membership programs available. There are a variety of course challenges and price points to explore here. From high end to value locals can find someplace to live and play. 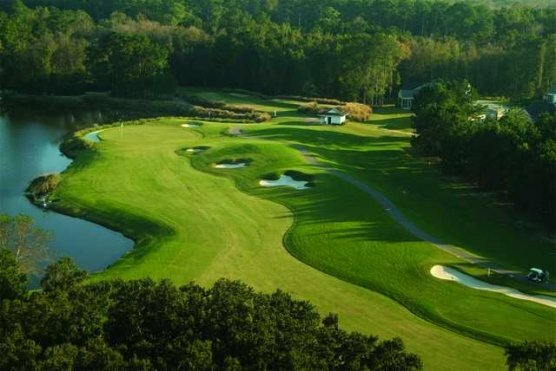 Golf is one of the primary reason people relocate or retire to the “seaside golf capital of the world.” So, when you hear a course like Carolina Shores being a local’s favorite take that as a recommendation. Opened in 1974 this layout became very player friendly in 2006 when renovations removed fairway sand bunkers that trapped average drives. This Par 72 course with its five tee sets has something for every skill level. The Gold Tees measure a challenging 6755 yards. The Black Tees are a very good test of golf at 6413 yards. The White Tees are a respectable 6085 yards. The Silver Tees and Red Tees measure 5554 yards and 5010 yards. The Par 5s are particularly strong. Each measures in excess of 500 yards from both the Gold, Black and White Tees. Tee shots allow you to hit away to fairly wide-open fairways, but be cautious there are sand hazards that come into play. All the Par 5 greens are well protected by sand bunkers, while water guards the left front on No. 10. No. 16 is the last of the Par 5s and a great test. A good drive and well placed lay up puts you in position to fire at the pin in hopes of birdie. A strong sand player may club up and go for distance laughing in the face of the sand hazards. The character of the course is best expressed in the Par 4s. Each seems to be challenging and memorable in its own way. No. 1 is a refreshing start with just average length into a green with modest traps. No. 2 is a dogleg right, but has one similar characteristic with the previous hole. Each has a large mound positioned on the putting green. No. 6 is a particularly challenging hole and No. 11 from the Gold and Black Tees is quite memorable. Each hole requires a solid drive and an accurate shot into a well-protected green. On No. 11 you’ll carry water off the tee and hit into a green that’s well protected by water. The Par 3s on both nines are quite playable. Unless you lose your concentration and decide to take a mental holiday, all are in the doable 135-155 yard range from the Black Tees. If you can putt, you might just find a birdie or two on these Par 3s. No. 12 is particularly interesting. Your tee shot needs to carry water to a large green that’s protected by sand bunkers in the rear and right. Read you putt closely as the green slopes ever so slightly from the center. Although the Bermuda grass greens were not in particularly good shape they did provide good speed and accuracy. Watch for subtle breaks and well disguised elevation changes. Our area has been hit with an usually harsh winter. With the cold, heavy rain and yes, even snow, the course, including the greens was in pretty good shape. Into the spring, summer and through the fall it will only get better. 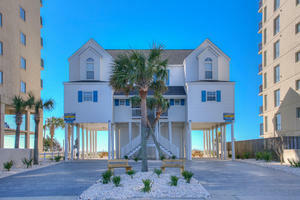 CarolinaShores, although situated in North Carolina, is just a 20-minute drive from North Myrtle Beach. Located just before Calabash off NC 179, the turn is well marked. One caution is in order. The Yahoo map that we downloaded wasn’t quite accurate. After you turn off NC 179, just go straight and you’ll see the clubhouse on the left. The course is located in a pleasant residential community and many holes have houses lining the fairway. However, the houses are not intrusive and seem separated from the golf course by mature trees and vegetation. Plenty of logo merchandise is available in the pro shop and the grill area provides all the snack bar food you’ll need. Do arrive early and take advantage of the driving range, putting green and chipping greens. You’ll find the range balls in the pro shop. I had the good fortune to play Carolina Shores on a really pretty spring day. I enjoyed the course and found it to be very playable. Take it from a local; give Carolina Shores Golf & Country Club a visit.